UK citizens traveling abroad will now face exit checks on their departure from the country as new government security measures to clamp down on criminals, terrorists and illegal immigrants announced in March come into force. The checks came into force Wednesday. They include taking details from every passenger at ports and airports to allow the Home Office to confirm the exit of each individual in attempts to tighten the country’s borders. Passengers traveling by air are unlikely to notice any change, as most airlines already provide the Home Office with exit information. Those travelling by sea or rail, however, will have to give their personal details to travel companies. It is the first time such measures have been put in place since 1988 and will now give the government the power to check whether foreign nationals have overstayed the limit on their visas. They will also mean the government can implement punitive measures on illegal immigrants, such as blocking their bank accounts if it transpires they have overstayed their visas. The minister for security and immigration, James Brokenshire, said the checks would provide the government with “vital” information. “It is right that we have an immigration system that is fair, that tackles illegal immigration and that clamps down on those who try to cheat the system by staying here when they have no right to do so,” he said. He said that as well as tackling immigration, the measures would greatly improve security and help to track criminals and potential terrorists. The government committed to reintroducing the measures in 2010. The Immigration Act of 2014 gave the staff of transport firms the power to carry out checks. “The UK already has one of the most comprehensive systems in the world for recording who travels across our borders: delivering on our commitment to reintroduce exit checks will make us more secure and better informed than ever,” Brokenshire added. The operators of the high-speed Channel rail link, Eurostar, said the new measures would not affect journeys and that passengers should arrive as planned for their departure. 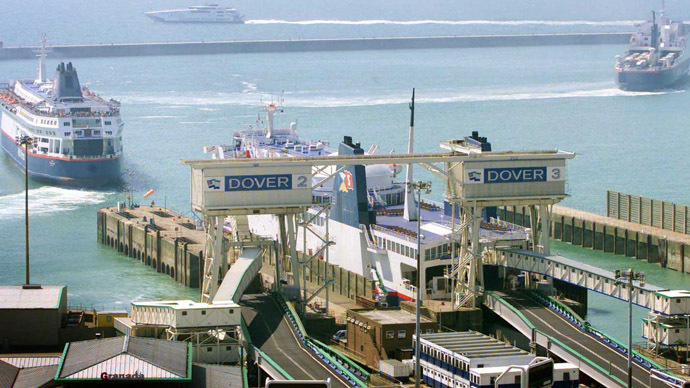 The port authority at Dover, which handles £100 billion ($150 billion) of UK-EU trade each year, said they would work with security agencies and the Home Office to ensure there was minimal disruption to passengers’ journeys. “We are playing our part, but this issue affects us all and our role is to ensure that together with all partners we keep traffic, Dover and the UK economy moving,” the authority said in a statement.